By using Total Credit's online sites, products, and services, users agree that Total Credit collects and processes the personally identifiable information (as defined below) they provide by creating a Total Credit account, by purchasing subscriptions, or during any exchange with Total Credit in connection with the use of their Total Credit account. Total Credit will not share any personally identifiable information with other parties except as described in this policy. Total Credit also processes anonymous data, aggregated or not, in order to analyze and produce statistics related to the habits, usage patterns, and demographics of users as a group or as individuals. Such anonymous data does not allow the identification of the users to which it relates. Total Credit may share anonymous data, aggregated or not, with third parties. "Personally Identifiable Information" (PII) is information that can be used to uniquely identify a user including (but not limited to) name, ID/passport number, email address, social media ID and other details, employment details, address and/or credit card number. If you are an EU user, "personally identifiable information" means "personal data" within the meaning of article 4 of the General Data Protection Regulation (EU) 2016/679 (GDPR). You may be asked to provide personally identifiable information during the sign in process, and then in connection with the use of Total Credit’s products, services and online sites. While Total Credit collects personally identifiable information on a voluntary basis, for certain products and services Total Credit's collection of personally identifiable information may be a requirement for access to the product or service or to process a user's order. Any information and communication relating to the processing of those personal data be easily accessible and easy to understand, and that clear and plain language be used. If you are located within the EEA area, you should be aware that in addition to other statutory rights, you are able to enjoy all the rights as stipulated by GDPR, namely a right to be informed, right of access to the personal data collected by us, right to rectification (i.e. processes to ensure that the personal data held remains accurate and up to date), right to erasure (i.e. processes to securely dispose of PII that is no longer required or where an individual has requested destruction of their PII), right to restrict processing/usage of their data, right to data portability (i.e. processes to allow individuals to move, copy or transfer their personal data from one IT environment to another in a safe and secure way, without hindrance to usability), right to object (i.e. procedures to handle an individual's objection to the processing/usage of their PII) and rights in relation to automated decision making and profiling. If you wish to make use of any of these rights, you should contact us here , providing adequate identification of yourself by sending a copy of your ID, making a request signed with signature (handwritten or electronic) etc. "Personally Identifiable Information" (PII) is used internally by Total Credit to deliver, develop and improve products, content and services, to which users have subscribed, and to answer users' requests. In addition, Total Credit may allow third parties performing services under contract with Total Credit, such as order or payment processors or merchandise warehouse and fulfilment services, located in and outside the European Union, to access and use personally identifiable information, but only to the extent necessary to provide those services. Total Credit may use PII provided by users to send them information about Total Credit, including news about product updates, contests, events, and other promotional materials, but only if the users agree to receive such communications. Total Credit will not share any PII with third parties for marketing purposes without your consent. When a Total Credit account is created, Total Credit collects a user's email address and username, and first and last name. Depending on the settings, users agree that some of this information may be searchable and available to other users within Total Credit. The GDPR requires PII to be processed in a manner that ensures its security. Total Credit's compliance policy ensures that PII is protected against unauthorized or unlawful processing and against accidental loss, destruction and/or damage. 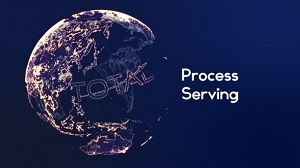 Total Credit has no obligation to keep private PII that a user makes available to other users or the public, nor does it have any obligation keep private PII that a user makes available to other users via Total Credit or other Total Credit software, such as in the community or other public functions. Users should exercise caution when deciding to disclose personal information in public forums. Users should also be aware that information disclosed is public information and may be displayed to other users. Total Credit may release PII to comply with court orders or laws that require us to disclose such information. In the event of a reorganization, sale or merger we may transfer personally identifiable information to the relevant third party with the user's consent if required by law. The GDPR includes provisions that promote accountability and governance. These complement the GDPR's transparency requirements. While the principles of accountability and transparency have previously been implicit requirements of data protection law, the GDPR's emphasis elevates their significance. Ultimately, these measures should minimise the risk of breaches and uphold the protection of PII. Total Credit's software automatically generates and submits to Total Credit bug reports upon a crash or other fault in the Total Credit software or services. This automatically generated bug report information may include information about other software or hardware on a user's system. Total Credit does not associate and store the automatically generated bug report information with users' personally identifiable information. Any bug reporting information manually submitted by users is associated and stored with PII sent voluntarily by the user. Total Credit gives users the option to receive promotional email communications from Total Credit. Users may opt out of these communications. Instructions for discontinuing receipt of promotional email communications from Total Credit will be provided in email communications to users. PII provided to Total Credit by customers in the EU is controlled by Total Credit, with place of business set out below. PII provided to Total Credit will be collected, processed and stored by Total Credit in Hong Kong. Total Credit has taken reasonable steps to protect the information users share with us, including, but not limited to, setup of processes, equipment and software to avoid unauthorized access or disclosure of this information. Total Credit complies with the Safe Harbor framework developed by the U.S. Department of Commerce and the European Union relating to the transfer and processing of PII. If you are concerned about the accuracy of PII maintained by Total Credit or wish to review, access, amend or correct it, or would like your PII removed from Total Credit's records or otherwise deactivated, please contact us. We may decline requests that are unreasonably repetitive, require disproportionate technical effort, jeopardize the privacy of others, or are extremely impractical.